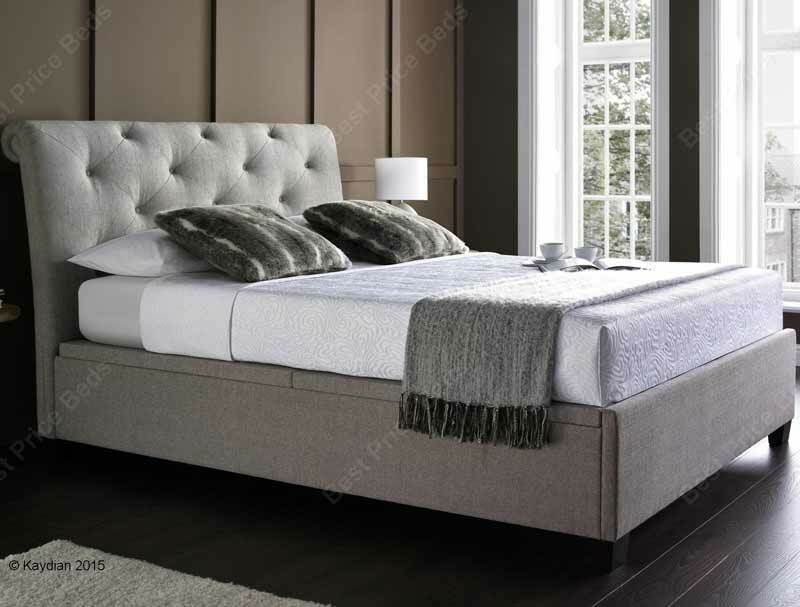 The Brunel from Kaydian is new and offers a combination of a Belford chesterfield style buttoned scrolled headboard with the lift up storage area and low foot board seen on the walkworth. 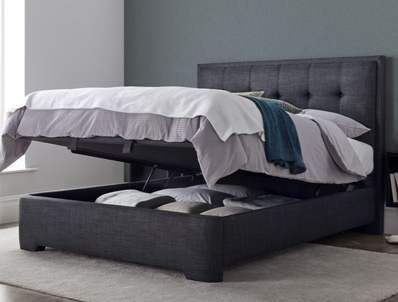 This stylish new bed frame is offered in 3 sizes , Double, King or Super king size and 2 colourways Linen & charcoal. 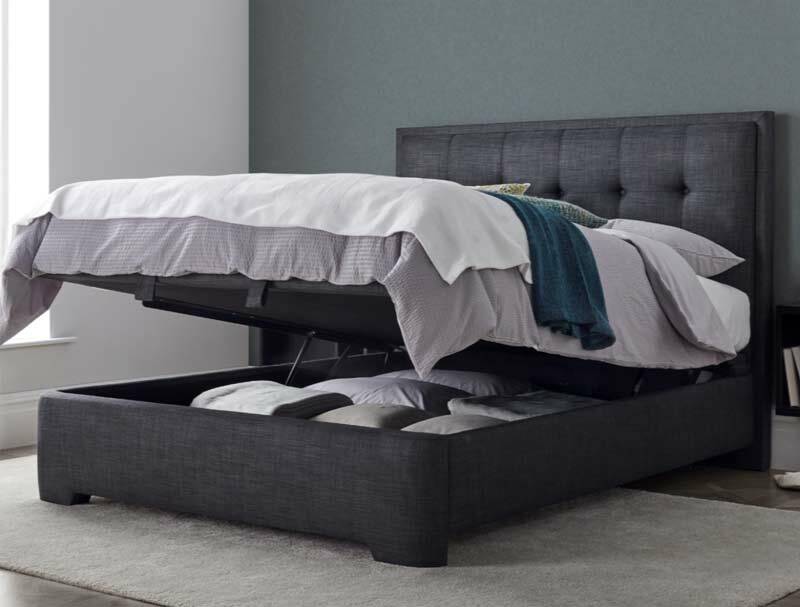 The Brunel bed frame is normally held in stock by Kaydian and is available for delivery normally within 48 hours to any home address. The frame is flat packed for home self assembly in 5 boxes and will be delivered free of charge to your front door of the building you live in , unfortunatley on this service it is not delivered upstairs or to room of choice, Although delivery is free some postcodes like AB, DD, IV, KW, PA, PH and FK18+ will incur a £25 delivery charge.